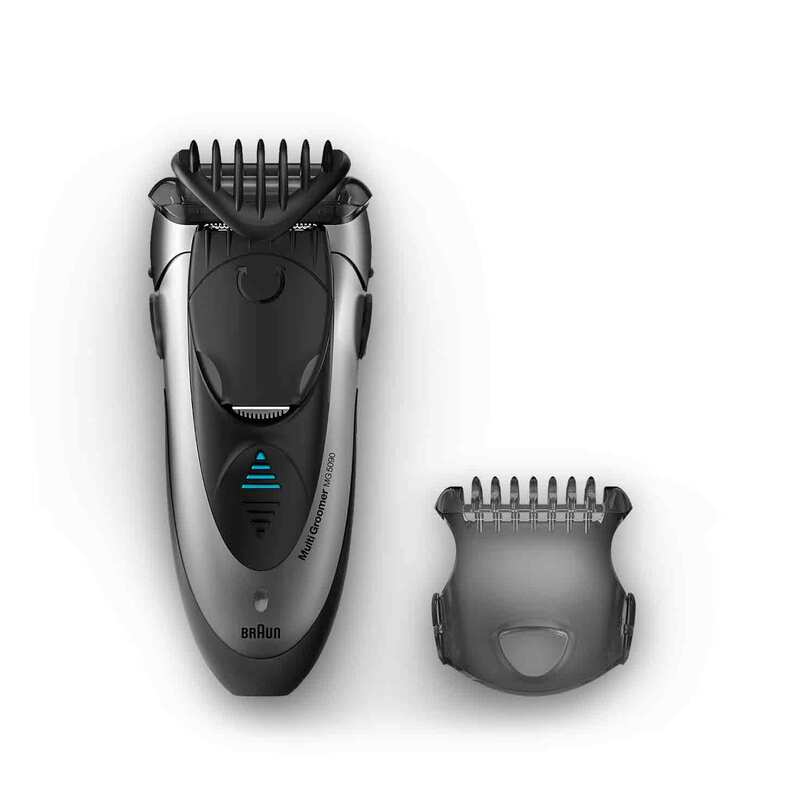 Multi groomer MG5090 with adjustable comb and charging stand. Braun multi groomer MG5090. Shave, trim & style. All in one. Extra wide shaver head with SmartFoil. Shave your style. Twistable trimmer. Twist and style your contours. A full charge takes only 1 hour and gives you 30 minutes of cordless performance. A 5 minutes quick charge is already enough for 1 trim.